1960s Road Rover estate car - "SNX 36"
Jaguar Land Rover (JLR) has applied for the trademark to the Road Rover name – a year after Autocar was told that the branding was merely an internal codename for a new model line. Brands often apply for name trademarks to ensure that potential future branding - or names similar to their other products - can’t be used by rivals. However, as well as 'Road Rover' being used in internal communications, it had also been touted as a potential name for a number of previous prototypes. The name could still be used for Land Rover’s first production EV, which is due before 2020. It will be a premium electric model aimed primarily at markets such as the US and China. some all-terrain capability. The car will also be tuned for impressive on-road dynamic performance, taking advantage of the potential delivered by electric motors. Fourth Range Rover model has abundant style but how much breadth of ability does the Velar really have? The car could make its public debut at the Los Angeles motor show in late 2019, with sales starting soon after. Prices are expected to be pegged at around £90,000 for the top-line versions. Over time, the Road Rover line-up is expected to develop into a series of more car-like and road-friendly, but still rugged, vehicles. 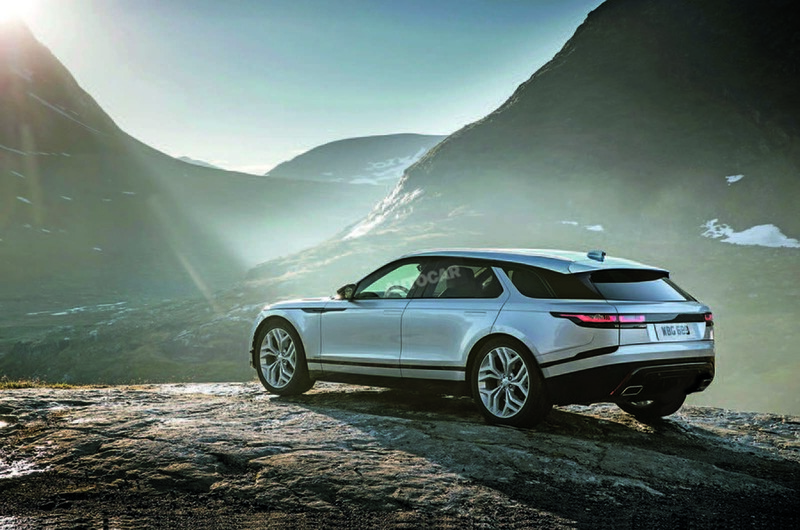 Road Rover is, like Velar, the name of an experimental model from the company's past. It was first proposed at the beginning of the 1950s as a bridge between Rover cars and the original Land Rover. 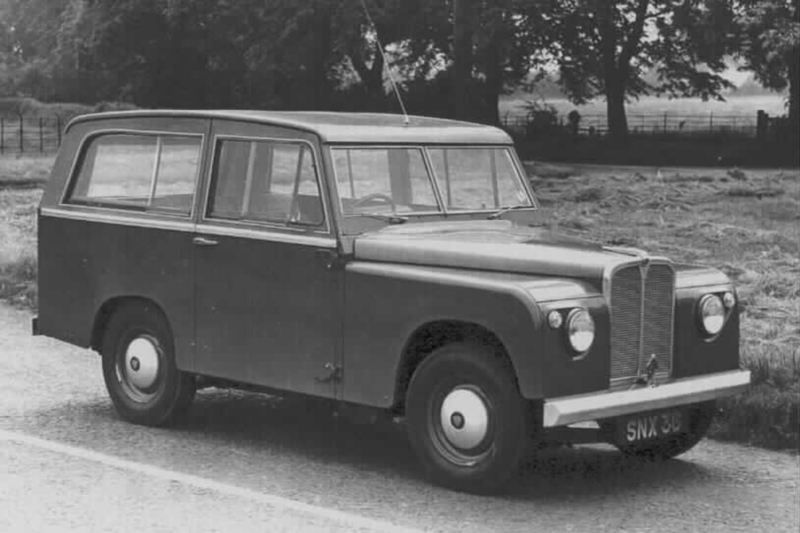 The concept was revived in the 1960s as a three-door estate and provided the intellectual basis for the concept that became the original Range Rover. Hard details about JLR’s plans for the new model line are very limited and tight secrecy around the project has enabled it to progress to two years before launch without becoming public. Land Rover design director Gerry McGovern is well known for identifying potential for new models – what he describes as “the white space” around existing ones – as seen by the successful Range Rover Evoque and recent Range Rover Velar. In a 2015 interview with Director magazine, McGovern said: “By 2020, there’s going to be 22 million SUV-type vehicles sold globally. So that’s a massive market. We’re asking: what are the products we could be creating that don’t actually exist yet – like the Evoque, which we didn’t have in our portfolio before.” The result was the Velar. McGovern is also thought to be planning a more luxurious and different-bodied Range Rover to take on the upcoming Rolls-Royce Cullinan. and a “second or third car for a wealthy family”. Ziebart suggested the latter segment had potential for JLR and that any EV would be the size of a “Jaguar XJ” and “aimed at the US and China”. 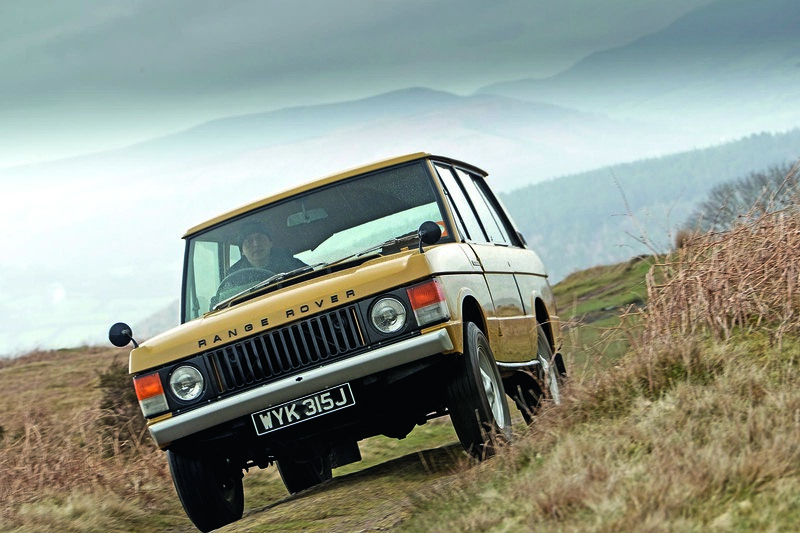 In fact, Autocar understands that the first Road Rover model is being developed in parallel with the next-generation XJ. The underlying structure for both of these vehicles is a new-generation aluminium architecture that can accommodate both battery packs and piston engines. It’s thought that the new XJ and the Road Rover will both be pure-electric vehicles with twin electric motors and on-demand all-wheel drive. The Road Rover will emphasise extreme luxury — the huge success of the current S-Class has proved that SUVs have not pushed super-luxury saloon cars out of the market — and it is also expected to have height-adjustable suspension for a degree of all-terrain ability. A range of at least 300 miles is predicted, as well as a 0-60mph time of less than 5.0sec. JLR has to compete head-on with premium-brand rivals such as Porsche and Audi, which are both launching luxury EVs in the next two years. Perhaps the closest rival to the new Road Rover is Audi’s E-tron Sportback, which is due to be launched in 2019. This also has all-wheel drive and an expected driving range of 300 miles in ideal conditions. There is no hard news on whether the Road Rover will have its own stand-alone design language. However, it is likely to build on the look of the Velar, emphasising taut and very clean surfaces, and it will have more of a shooting brake profile than other high-end electric SUVs. The new XJ and Road Rover, along with Jaguar’s electric I-Pace compact SUV, will be part of JLR’s plan to meet stringent new Zero-Emission Vehicle (ZEV) sales targets in California. The calculations behind the ZEV programme are extremely complex and intended to ensure there are at least 1.5 million electric or hydrogen fuel-cell vehicles on California’s roads by 2025. It is thought that JLR will need to ensure that somewhere between 16% and 25% of all its sales are of battery-electric cars by 2025. Moreover, at least nine other US states have adopted California’s ZEV plans, putting extra pressure on car makers. The adoption of a new brand for a range-topping electric vehicle might be seen as an unnecessary risk, especially considering the profile and strength of the Range Rover brand. However, there are a number of reasons why JLR bosses concluded that an electric Range Rover was a stretch too far. a substantial battery pack would have been a significant technical challenge, especially in terms of waterproofing the powertrain. Second, extracting the maximum real-world range from a battery-powered car is essential and this makes aerodynamic performance a crucial part of the calculation for a new model. The frontal areas of the Range Rover and Range Rover Sport are far too large to work efficiently as battery-powered vehicles. Indeed, the Tesla Model X is probably about as tall as any EV is likely to get. Third, JLR strategists have a clear eye on the longer-term future of the brand and what’s expected to be a medium-term aim of hitting annual sales of one million units. Although Jaguar has made huge strides thanks to the F-Pace (and the upcoming E-Pace will also boost the brand significantly), sales of Jaguar road cars are becalmed. According to JLR’s figures, Jaguar sold 94,000 XE, XF and XJ models in the 2016/17 financial year. Even with a sales boost from the XF Sportbrake, Jaguar’s road cars are unlikely to make up serious sales ground in the next few years. JLR bosses have clearly concluded that, in order to meet the million vehicle target, they need to continue to exploit the huge market shift towards crossovers and SUVs, while also hedging their bets by building premium vehicles that are more fuel efficient and less like conventional off-roaders. and imposing SUVs such as the three biggest Range Rover models and the F-Pace. its chances of growing significantly and profitably from last year’s sales of 604,000 units, but also spread the risk of any customer shifts in the global new-car market. The most recent financial report makes clear just how much JLR is spending on expanding the business for the future. built there will be the new Discovery, according to JLR’s annual report. of FY 2016/17, even though revenues crept up to £5.59bn from £5.35bn and sales grew by 4.7%. Between April and June this year, sales jumped by 16% in North America and 30% in China but fell 14% in the UK and 14% in other overseas markets. However, JLR is well placed to power over these setbacks. Sales of the Velar are ramping up and the E-Pace will go on sale towards the end of this year. Why would this stun the world? First there was the Evoque. 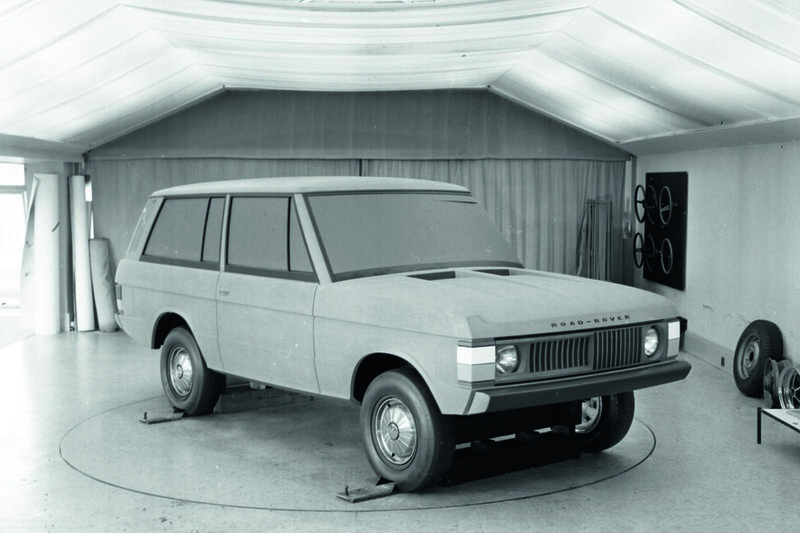 Then there was the stretched Evque (the Velar). And now there'll be the super-stretched Evoque (the Road Rover). Well, that has stunned the hell out of me, for one! Velar isn't a stretched Evoque, it's a rebodied F Pace (which is, in turn, a jacked up XE / XF. I stand corrected. I should've said, it 'looks like' a stretched Evoque. After study some of the blog articles on your site now, we genuinely appreciate your method of blogging. I bookmarked Customer Financing for Contractors to my bookmark internet site list and you will be checking back soon. Pls have a look at my website likewise and let me know what you believe. I love how these cars have evolved. It is nice to see these explanation. Well, it is true to know these.